Submitted by Mason Hoberg on Dec. 12, 2017. The days of your average guitarist’s set-up including a full-stack Marshall or a giant Fender tube amp are long gone. As audio equipment has advanced, the demand for ever increasing levels power from an amp has decreased proportionally. You just don’t need a huge amp to fill a venue with sound anymore. But even though huge amps have declined in popularity, we guitarists still want that huge, tube amp tone. Thankfully, as high-powered tube amps have become less feasible manufacturers have been investing in smaller, more practical options for average guitarists. These low watt tube amps give all the tone of their bigger brethren, but at a more practical volume. However, because small wattage tube amps have become so popular, there are now tons of options available. This means finding the best low watt tube amp can be a challenge. If you’re not sure which low power tube amp is going to work best for you, check out our recommendations below! Fender '57 Custom Champ 5W 1x8"
Vintage tweed Champs have been used on some of the most famous classic rock and blues songs ever, such as Eric Clapton’s Layla (though there is some debate as to whether it was a tweed or silverface champ), Joe Walsh’s Rocky Mountain Way, Aerosmith’s Shame, Shame, Shame and ZZ Top’s La Grange. This amp is a custom shop reproduction of a vintage Fender Champ. The Weber speaker is designed specially for this amp in order to achieve the closest reproduction possible of vintage Champs. The amp also comes with a tube rectifier (a rectifier converts electricity between AC and DC, and most rectifiers are currently solid state), which helps to give that compressed tone and “bloom” you hear with vintage amps. The coolest thing about this amp is that it makes a genuine tweed tone both affordable and reliable. Vintage amps are expensive, tweed amps especially, and tend to be fragile and prone to technical issues. 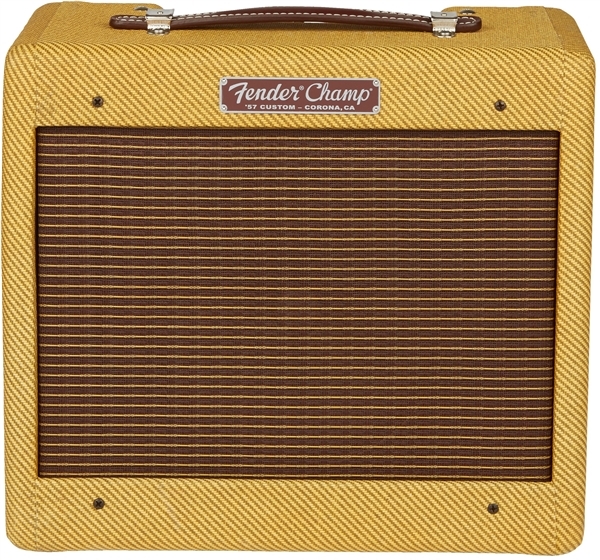 But with the Fender Champ, you get a new amp (and all of the benefits that come with that) and a great vintage tone. 93 out of 100. Incorporating 450+ ratings and reviews. 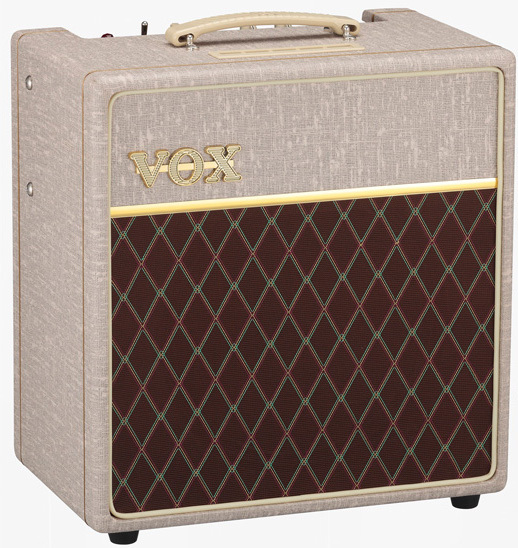 The Vox AC15 is the defining Vox amp, and arguably the sound of the British Invasion (the brand’s AC30, while a similar amp, did have a pretty different sound and was also commonly used by British bands of the era). Something to know about this amp is that it comes in two different models, one is loaded with a Celestion G12M Greenback and the other (the Vox AC15C1X) comes with a Celestion Alnico Blue. The Greenback speaker, which is used in this amplifier, is generally considered to have a stronger bass response and a defined mid-range hump when compared to the Alnico Blue speaker. Another cool thing about this amp is that it comes with everything you need if you’re looking for a vintage tone. The amp ships with both reverb and tremolo, both of which are great if you’re looking for that old school Shadow’s tone. Fender Blues Junior III Lacquered Tweed 15W 1x12"
The Fender Blues Junior is arguably one of the most positively received low-wattage, mid-range tube amps currently produced. The amp packs an amount of quality that is almost jaw-dropping for the price it commonly retails at, making it one of the best “bang for your buck” amps currently around. 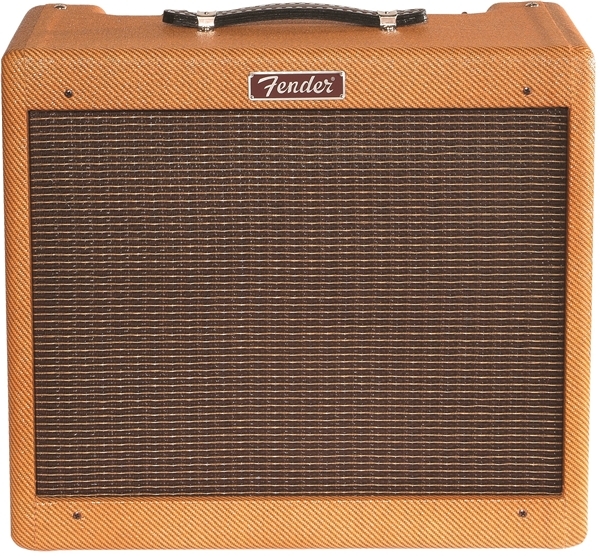 The Fender Blues Junior III Lacquered Tweed isn’t just stylistically different from the standard Blues Junior, it also packs a vintage voiced Jensen speaker. This speaker isn’t an upgrade (it’s also not worse, it’s best defined as a “side-grade”) over the modern voiced Eminence speaker found in the standard Blues Junior, but it definitely gives a great approximation of a vintage tone. The amp also comes with a “FAT boost” switch, which boosts mid-range frequencies when engaged. This helps to give the amp a bit more versatility, as the mid-range boost is great for adding additional gain and smoothness for solos and lead lines. Lastly, the Fender Blues Junior III Lacquered Tweed also comes with genuine Fender spring reverb. Spring reverb is defined by its wet and shimmering tone. For an idea of how this reverb sounds, think of vintage surf music (though Fender reverb has been widely used by musicians across tons of genres). 93 out of 100. Incorporating 30+ ratings and reviews. The Vox AC4HW1 4W is a low-wattage, hand-wired tube amp. Amps that are hand-wired feature connections that are all wired in a chain with one another, as opposed to being wired to a circuit board. Because early amps were hand-wired, tonal purists feel that hand-wired connections give a more organic sound. The cool thing about this amp is its wattage relative to its speaker size. Most amps with less that 5-watts have a sub-12” speaker. The Vox AC4HW1 ships with a more standard 12” speaker, meaning that you’re still going to get the tone of a bigger amp without sacrificing a full, rich, and musical tone. The amp comes with two inputs (high gain and low gain) as well as a boost switch. Though they seem like minimalistic additions at first glance, the combination of these features actually give you access to a variety of clean and distorted tones. Essentially, with this amp you have access to great and (relatively) low volume British Invasion, Blues, Brad Paisley-esque country, and Queen tones. 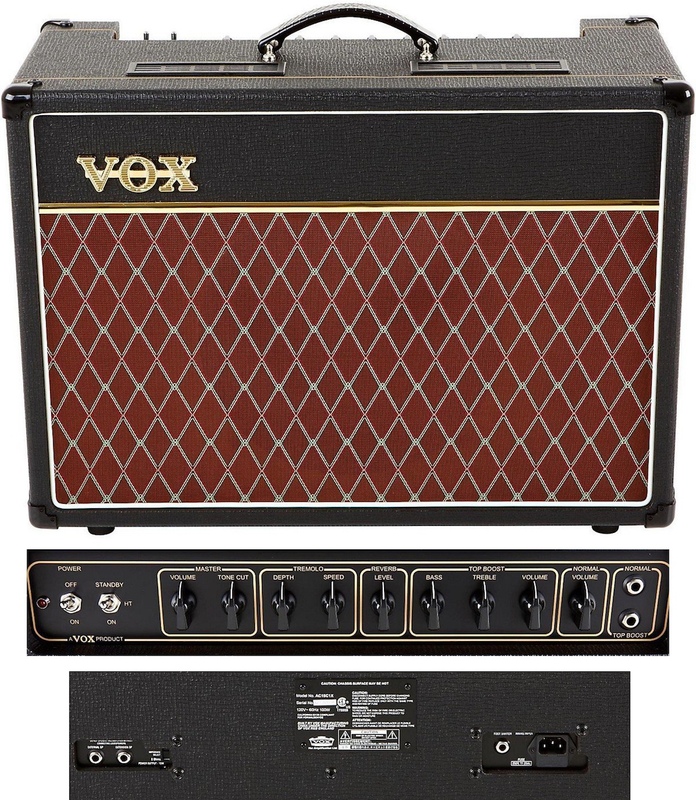 The Vox AC15C1X is essentially the same amp as the Vox AC15C1 above, but with one key difference: the speaker. The C1X uses a Celestion Alnico Blue speaker, while the C1 uses a Celestion Greenback. Alnico Blue speakers have a more traditional Vox chime (think the tones of British bands like the Beatles). The Greenback speaker handles distortion a bit better and has a stronger low-end and mid-range response, while the Alnico Blue has more definition and a stronger high-end response. Blues are also more expensive than Greenbacks. Looking beyond the Alnico Blue and Greenback debate, the amp is really solid on its own merits. At 15-watts you have enough headroom for clean tones at a decent volume, and you can still access overdriven tones at reasonable (though still loud) volumes. Like the C1, this amp comes with both reverb, tremolo, a clean channel, and a top boost channel. The tone controls are a bit limited when compared to other amps, but even with that in mind the amp is still really versatile. Outside of jazz and metal, there isn’t much that this amp can’t do exceptionally well. 95 out of 100. Incorporating 150+ ratings and reviews. The Orange OR15H 15W Compact Tube Guitar Amp Head is a vintage voiced compact tube amp. The standout feature of this amp is that it features switchable wattage (amp attenuation), allowing you to switch your amp from having the response and head room of a 15-watt tube amp to a 7-watt tube amp. While this won’t dramatically change the peak volume, it does change the amp’s headroom. Basically, when the amp is switched to its 7-watt mode you can get organic tube distortion at significantly lower volumes than you could on the 15-watt version. Beyond the wattage switch, this amp’s features are pretty minimalist. It doesn’t come with a boost or multiple channels, but you don’t necessarily need either of those depending on the gear you already have available to you and the tone you’re looking for. While having an onboard boost is helpful, you can get similar results with a boost pedal (which you can easily pick up for $30 or less) and a distortion pedal. 94 out of 100. Incorporating 175+ ratings and reviews. 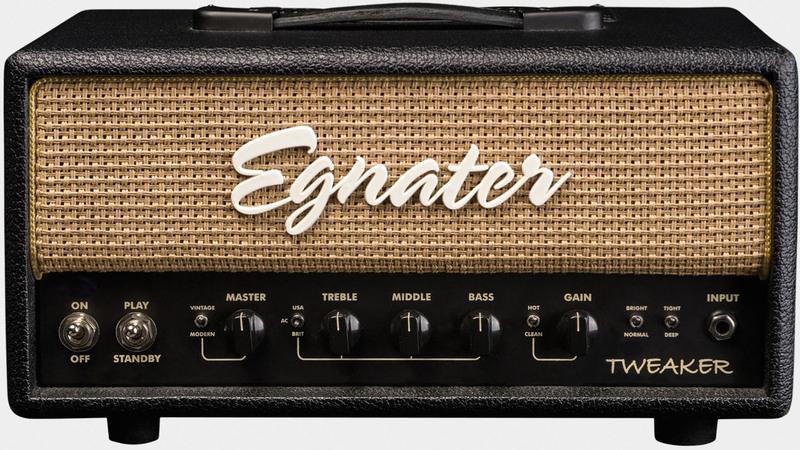 The Egnater Tweaker 15W Tube Guitar Amp Head definitely lives up to its name. Its hard to find a more versatile tube amp in any price range, regardless of how much you spend. The amp can go from British (Marshall) to American (Fender) to AC (Vox) tones with a flip of the switch, and then you can further tweak the tone with the “vintage/modern” switch. You can also change the response with the “normal/bright” switch and the “tight/deep” switch. However, the Egnater’s greatest strength is also its greatest weakness because, while it definitely sounds good, no one voicing is going to compare to a genuine example of the amp. 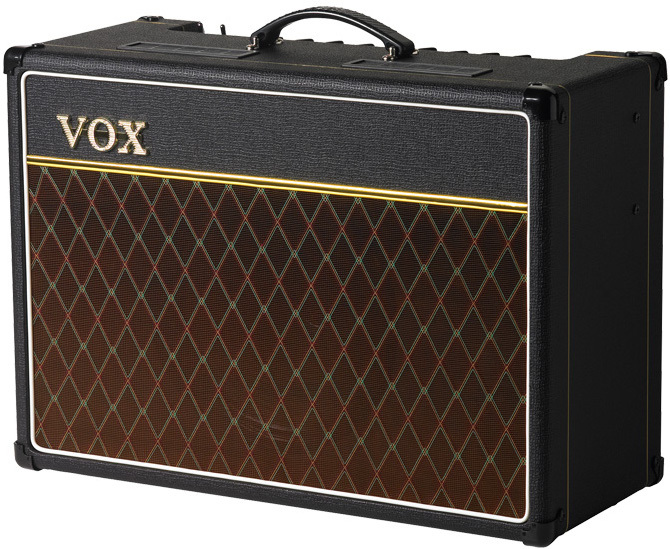 For example, the Tweaker’s AC voicing well sound Vox-esque, but a standard Vox is going to give you a better example of the classic Vox tone. So really, the main thing you need to consider when looking at this amp is what you really need. If you want a single amp voicing, say a great Fender tone, you’d be better off with getting a Fender. However, if you want to cover a bunch of different genres you’ll more likely be happier with the more flexible Tweaker over a more limiting amp. 94 out of 100. Incorporating 225+ ratings and reviews. 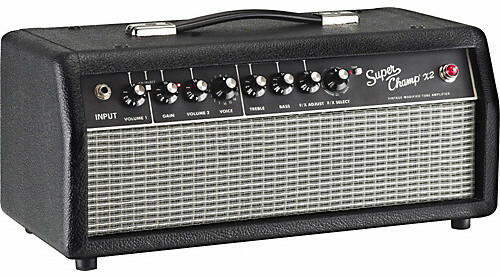 The Fender Super-Champ series is essentially a modeling amp bolted onto a standard tube amp. As far as versatility is concerned, nothing surpasses a modeling amp. The Super Champ is no exception, featuring 16 models and a variety of effects. The cool thing about this amp is that you can dial in a ton of different tones and effects, and so long as you buy the footswitch you can switch between them remotely. The bad thing is that when you buy a modeling amp you do get a somewhat digital tone. However, this isn’t a deal breaker for a lot of people. Personally, my main amp is a Fender Mustang because the cleans are great, it doesn’t need any maintenance or expensive repairs, I can play it in my apartment and still get a good sound. I’ve done shows with it, I’ve recorded (only at an amateur level) with it, and I think it sounds pretty good. So really, it’s an issue of what you want. If you want to cover as many genres as possible you’ll really like this amp, because it can do an approximation of almost everything. However, if you’re looking for an amp to play a particular genre (or a group of closely related ones) you’ll be happier with an amp that’s built for that purpose. 94 out of 100. Incorporating 80+ ratings and reviews. 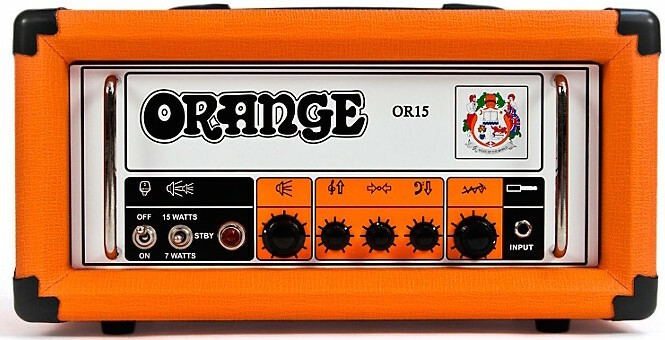 The Orange DA15H is very similar to the Orange OR15H, with the main difference being that this amp is focused on medium to high-gain, driving tones. It’s a great amp for modern blues players as well as rock and metal guitarists. Note: while this amp seems like it’d be aimed more at metal players, it really is a great amp for classic rock and blues too. Something to know about this amp is that its onboard controls are fairly limited, featuring only a volume, shape, and gain control. What it lacks in versatility and control it more than makes up for in raw tone, but you may have to invest in some pedals if you’re looking for more tonal options and reverb. 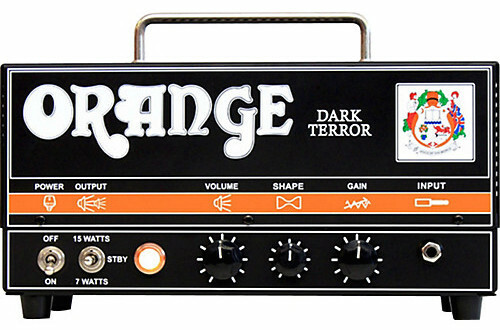 Lastly, the Dark Terror also comes with a 7-watt to 15-watt switch. As stated above, this is great if you’re looking to get highly distorted tones at controllable volumes. If you’re not sure where to start on your hunt for a small tube amp, or you just want to brush up on your background knowledge before putting any money down, check out the sections below! The most important thing to know when looking at small, low wattage tube amps is that a linear increase in wattage doesn’t translate to a comparable increase in volume. In plain speak, a 110-watt tube amp isn’t going to be 10% louder than a 100-watt tube amp. As a general rule, volume doubles for every 1000% increase in wattage. A 100-watt amp (assuming speaker size and construction is similar) will usually be twice as loud as a 10-watt amp at peak volume. As wattage increases, you get more volume before your amp starts to distort. For home use, the ideal situation would be an amp with less than 10-watts (depending on how much tube-based distortion you want) and a master volume control. That way you still have some head room (head room is the amount of volume you get before your amp starts to distort) but you can still get valve distortion without wall-shaking volume. Amps come in two design configurations: combos and heads. Amplifier heads are essentially just the “guts” of your amp, so it doesn’t make noise on its own. A combo amp includes a speaker in addition to the “guts”. The cool thing about amplifier heads is that you have a lot of flexibility in your tone. You can use different speakers and cabinets to dramatically alter your tone. The downside is that buying a head and cabinet separately generally costs more than just buying a combo amp. Combo amps are great because you know the sound you’re going to get, and they’re more cost effective. Should you wish too, you can also change the speakers to get a different tone (but you will be stuck with the cabinet, which houses the speaker and guts). When you hear people talking about an amp’s voicing they’re essentially talking about what tone an amp is based off of. An “American voicing” almost always means that the amp sounds like a Fender (think Stevie Ray Vaughn), and a “British voicing” means that the amp is based off a Marshall (think classic rock) or Vox (think the Beatles). Voicing comes from the tubes utilized, with 6L6 type tubes sounding more “Fender-ish”, the EL34 sounding like a Marshall, and the EL84 sounding like a Vox. For the sake of simplicity (and to avoid this article turning into a 6000+ word essay on tubes and their history) we’re not going to delve much deeper into different tubes and their tone. As speaker size increases so too does an amp’s representation of low and low-mid frequencies. Amps with larger speaker sound fuller and warmer, and amps with smaller speakers have a stronger high-mid and high-end representation. Smaller speakers also have a more focused and direct tone, which is likely why they’ve proven to be so popular in the studio. The most common size, a 12” speaker is the happy medium between the two extremes. The speaker is big enough to produce a full tone, but not so big that you lose focus (which has a tendency to happen when using 15” speaker). Cabinets (where the speaker is located) come in two configurations: closed and open. An open backed cabinet has a fuller tone because the sound disperses in a wider area. A closed back cabinet sounds more focused, because all of the sound is directed forward.